Indian Removal INTRODUCTION On May 26, 1830, the Indian Removal Act of 1830 was passed by the Twenty-First Congress of the United states of. America. After four months of strong debate, Andrew Jackson signed the bill into law. Land greed was a big reason for the federal government's position on Indian removal. The Five Indian tribes that were affected were Choctaws, Muskogee, Chickasaws, Cherokees, and the Seminoles. 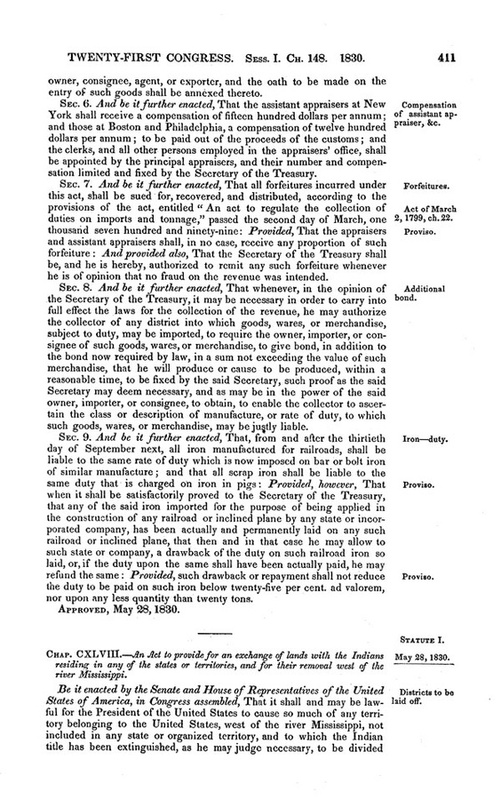 In the 1830, the Removal Act went into effect. The Removal Act gave President Andrew Jackson the power to remove Indian tribes living east of the Mississippi river by a negotiate removal treaties (James).